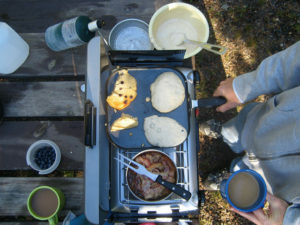 This is the last post in my frugal series about camping, but don’t worry! I will have more frugal series posts coming soon, and I am certainly not done covering camping. Have I mentioned how much I love s’mores? 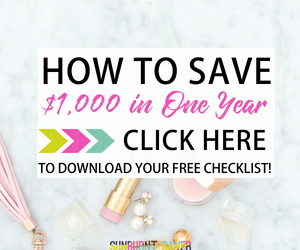 Miss my first two posts in the frugal series? Check out Traveling Cheaply: Think Camping and Frugal Camping Entertainment to catch up! As you’ll notice in my previous posts, a couple weeks ago, B. and I went camping. As I mentioned, we love camping not only because it’s fun, but also because it’s an incredibly cheap vacation. 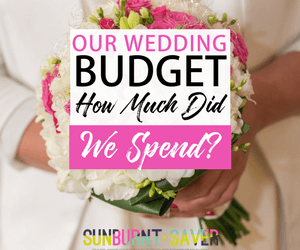 However, from the cost breakdown in my previous post, food was by far the most costly item on our list, compared to the site rental and camping supplies – $70, to be exact. Still, saving a ton of money by eating PB&J sandwiches isn’t exactly my idea of a great, or well-rounded meal, even if it just ‘camping food.’ I also happen to love PB&Js, too, so this really is saying a lot! On the other hand, even if eating out in town is an option, that’s not necessarily the best way to eat great and save money. While B was setting up camp, I was walking Molly around the campsite and overheard the campsite host talking to our neighbors. The couple made a comment to the host about wanting some good BBQ, and the campsite host pointed out a BBQ restaurant down the road on their map. This exchange blew my mind – not once, in all the years I’ve been going camping, have we ever thought about eating at a restaurant. The whole point, to me, is to escape civilization and avoid towns and restaurants. I’m here to tell you, you can eat some amazing, delicious, and well-balanced food while camping. I have to admit, I get a little more indulgent when I camp. I love burritos, and I love s’mores, so that’s what I like to eat a lot of while camping, even though I eat healthier at home. Here are a few easy things you can make over a campfire or with a camp stove. I’ll break down both, and I’ll let you know what we took with us on our camping trip! Okay, so this isn’t the healthiest thing to eat, but if you’re new to campfire cooking, this is by far the easiest. This was my favorite meal when I was a kid, camping with my family. 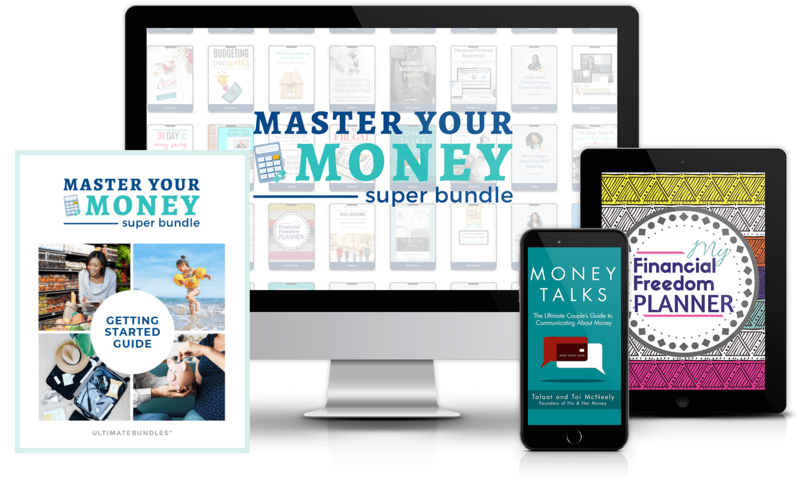 Basically, pack some Crescent rolls and hotdogs of your choice (I’m vegetarian, so I bring Smart Dogs – just as tasty, and they hold up to cooking just as well!). Unroll your dough, and wrap one hotdog at a time in your triangle dough. 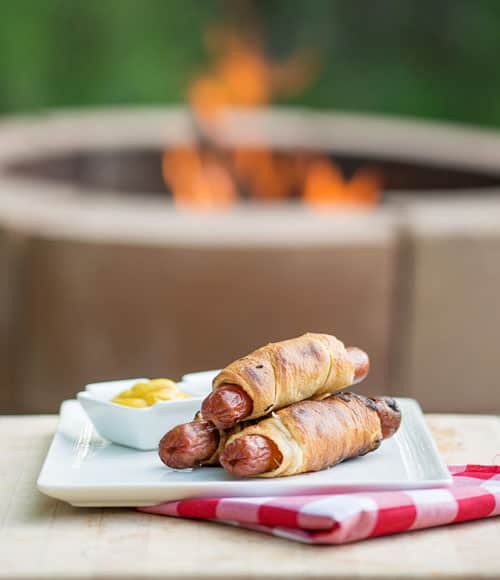 Make sure the dough overlaps on the end, otherwise your Campfire Dog will fall apart. Skewer your Campfire Dog and cook it until it’s browned over the campfire. You can cook it however which way you choose: like marshmallows, I like to cook it in direct fire for a couple seconds, then hover my skewer over the edges, away from the fire but still allowing the Campfire Dog (or marshmallow) an opportunity to cook. Once you’re done, put any condiments of your choosing on your dog, and enjoy! Campfire Dogs aren’t new: click here to watch a video or see pictures on how to make Campfire Hot Dogs. Burritos, burritos, burritos. If I had to choose my last meal, it would probably be burritos. I can eat burritos for breakfast, lunch, and dinner… which makes Campfire Burritos my go to meal for breakfast and dinner. Okay, Campfire Burritos are a little bit like cheating. 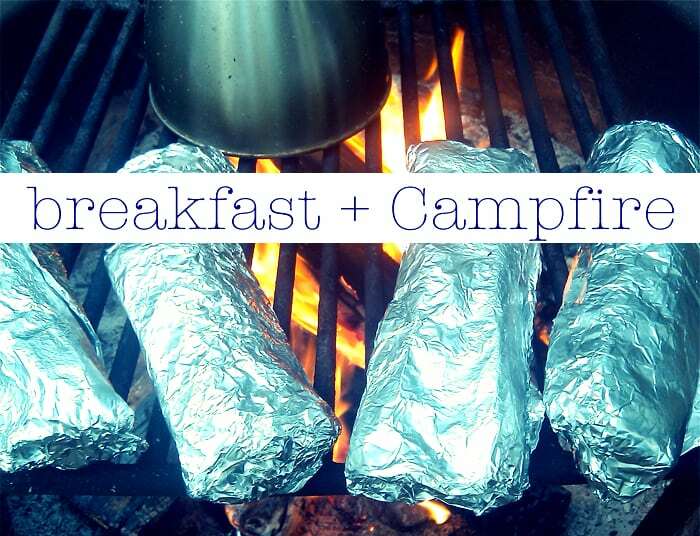 The way I make Campfire Burritos, breakfast or dinner, is… ahead of time. Making your breakfast Campfire Burrito ahead of time (day of or night before, depending on when you’re leaving) makes sense, whereas you could definitely make your dinner Campfire Burrito at your campsite. For breakfast Campfire Burritos: cook up some eggs (we use about 5 eggs, but we’re only 2 people, so adjust accordingly), potatoes, sausage, and some veggies (onions, bell peppers, tomatoes, anything you like) in a skillet. If you don’t have cooked potatoes lying around, cook up some ahead of time. Hint: you’ll want to have some extra potatoes on hand for dinnertime! After your eggs, meat, veggies and potatoes are all cooked together, grab a large tortilla, and fill your tortilla about 1/3 full (straight down the middle). Once again, eating burritos while camping isn’t new, so click here to see some awesome photos on how to fill your tortilla. I like to add avocado to my tortilla – it’s added fiber and helps the tortilla filling stick together. Once you’ve filled your tortillas, wrap them up individually in tin foil and pack them snugly in your cooler. The next morning, when you get your fire going, you can put your wrapped tortillas on the grill and heat them up while you slowly wake up. Yum! For dinner Campfire Burritos, you can make them the day before you go camping or at the campsite. I like beans, cheese, tomatoes, and avocado (always avocado!) in my burritos, so I make them the night before, but B likes to make his own dinner burritos and the campsite. The same way you fill your breakfast Campfire Burrito is the same way you’ll make your dinner Campfire Burrito: fill your tortilla about 1/3 of the way full, wrap it up individually in tin foil, and warm over the campfire grill. Hint: You can also cook up your Campfire Burritos on a skillet, using your camp stove. This is what we did on our last camping trip, and it made the cheese extra gooey – delicious! If you’ve decided to go ahead and purchase a camp stove (recommended if you live in a place, like we do, where sometimes there are restrictions on having campsite fires), there are so many more things you can make. In addition to burritos and their cheesier cousins, the quesadillas, you can also make pancakes, breakfast potatoes, and couscous with veggies. Not us, but basically how our set up looked like! Mmm, I love carbs while camping! 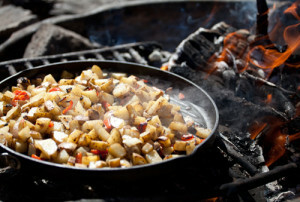 Cooking up some breakfast (or lunch, or dinner…) potatoes is so easy, especially if you have a skillet and propane stove. Personally, I like to do some prep with potatoes. Actually, I take that back. B is the cook in our family, so he does prep work with the potatoes! He cuts up the potatoes ahead of time, just because we don’t like to haul a bunch of stuff with us. A cutting board and knife is just extra stuff. Once you get your stove and skillet set up, coat the bottom of your skillet with a thin layer of olive oil, add onion, garlic, whatever other spices you may want, and cook until tender. Then add your potatoes, some extra olive oil, and stir to coat. I love adding veggies to my potatoes, and the last time we made breakfast potatoes, we included red bell peppers and jalapenos (without seeds because I’m a baby). You can add other things, like edemame or kale if you want to get fancy. Cook potatoes until brown and crispy, yet not burnt, and serve alongside eggs, if you decided to bring some along. Personally, I’ve never had problems with our potatoes turning brown before we get to our campsite, but Dirty Gourmet (where the lovely above picture came from) suggests storing your potatoes in a bag placed in cold water in your fridge. For more pictures and instructions, check out Dirty Gourment here. I always bring things to make s’mores, even if we have fire restrictions. Although not ideal, you can cook s’mores on a camp stove, just use the fire from the stove to melt your marshmallow. Again, not perfect, but I can’t camp without s’mores. Seriously, it’s a requirement. 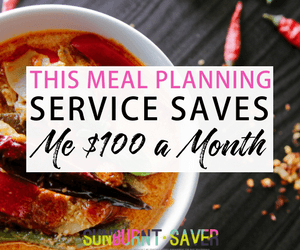 But if you’d like to enjoy your camping experience a little more, not break the bank, and eat some filling meals, there are so many different things you can cook with not much additional effort! When was the last time you went camping, and what did you eat? These are great ideas! I love the burritos and campfire dogs — mmm crescent rolls. I usually do just bring sandwiches, so this was really helpful!